Perhaps your careers advisor laughed in your face when you confessed your secret desire to be a professional chocolate taster. You then fled from your school’s careers office in tears, ripping your careworn copy of Charlie and the Chocolate Factory into bitter, mournful confetti. But now all your fantasies about slurping from chocolate rivers and licking wallpaper can finally come to fruition, so take that, Sharon! 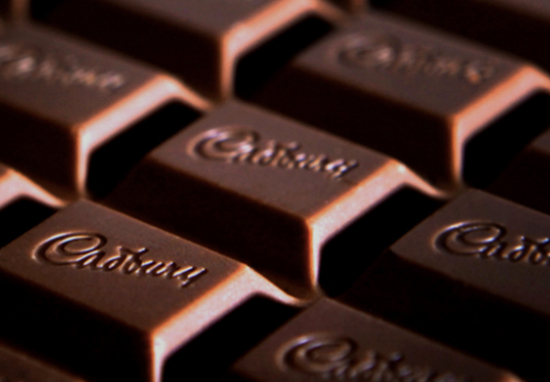 Mondelez International – the company behind Oreo cookies and Cadbury snacks – has just opened up four scrumptious new job opportunities. Yup. You can actually get paid – approximately £9 per hour if you’re interested – to sample all sorts of chocolatey goodness and offer your wise yet sweet-toothed opinion. Don’t worry about any formal qualifications or training – although if you do happen to have a BA (Hons) Chocolate then you have my sincerest awe and admiration. On-the-job training will be apparently available to ‘develop your taste buds and the specific vocabulary required to communicate your opinions’. Exciting stuff. However, just like Liam Neeson’s character in Taken, you will already need to have a particular set of skills. This is a permanent, part-time position, with just 7.5 to 8 hours a week and so could be a yummy bit of extra income for those who have other studying or family commitments. Based at the Whiteknights campus at The University of Reading in erm, Reading, shifts take place Tuesday to Thursday 9.30am-12pm (for 7.5hrs) or Monday to Thursday 3pm–5pm (for 8 hrs). Deliriously lucky employees will work within specialist sensory booths and discussion rooms, alongside eleven other panel members plus a panel leader. Together, this group of talented tongue owners will pool their opinions; working to reach an agreement on flavour. Each person’s input is crucial to paving Mondelez International’s sugary path of success. So no pressure or anything. The way we taste is a little bit more complex than you’d think. Obviously we have our tastebuds that are located within our mouth, the things like salt, sweet, bitter, sour and umami. But actually three quarters of what we perceive as flavour is through aroma. So when we’re eating, the molecules are being released and they take a journey through our nasal cavity and come up to an area behind the bony bit of our nose called the olfactory bulb. And that’s where a lot of the flavours are perceived. Unsurprisingly, you will be up against some fierce competition. Unlike many other job applications, it isn’t exactly difficult to express your passion and dedication to chocolate. I myself have put in many hours of unpaid work experience in the art of the Friday night Galaxy Giant Bar binge. So if you want to be in with a chance, make sure to apply nice and early to avoid missing that all important deadline. Applications for all four positions will close on February 16, which should give you the chance to practice your tasting skills on all the Valentine’s Day chocs you will surely be swamped with. And who better to inspire our frantic application process than the sultriest of chocolate lovers, Nigella? You can begin your application process here.